Robert M. Schartz is a partner with the firm and a member of the litigation department. He joined the firm in 2009 after spending eleven years with another Omaha law firm. While Mr. Schartz has handled a variety of cases, he specializes in civil litigation with an emphasis on the defense of medical malpractice lawsuits on behalf of physicians, nurses and hospitals. He has tried numerous jury cases to verdict in federal and state courts on behalf of his clients. In addition to his trial practice, Mr. Schartz has also argued several cases in state appellate courts. Mr. Schartz is a member of the Medical Liability section of the Defense Research Institute, serving as a Nebraska Liaison in the past. He has lectured and spoken to large groups of physicians and hospital personnel on issues of risk management and trial procedure. Mr. Schartz is also active in the Omaha community. He is a member of Christ the King Parish where he is currently serving on the Education Steering Committee for Christ the King Elementary School. In addition, he serves on the Archbishop's Committee for Development for the Roman Catholic Archdiocese of Omaha and he is Vice President for the Youth Emergency Services Board, an organization which aides homeless youth in the Omaha vicinity. Mr. Schartz also serves on the Board of the Old Loveland Homeowners Association as vice-president. 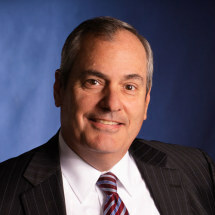 Mr. Schartz obtained his Bachelor of Science in Business Administration from the University of Nebraska at Omaha in 1990 with an emphasis in accounting. After obtaining his Juris Doctor from Creighton University School of Law in 1993, he became an Assistant Douglas County Public Defender where, over the next five years, he gained significant trial experience. In 1998, Mr. Schartz entered private practice. He is currently a member of the Omaha and Nebraska State Bar Associations, the Iowa State Bar Association, the Medical Liability section of the Defense Research Institute, the Nebraska Defense Counsel Association and the Nebraska Criminal Defense Attorneys Association. Mr. Schartz has been awarded an AV rating by Martindale-Hubbell which is the highest rating for ethical standards and legal ability.